Krishna Janmashtami, also known as Janmashtami is a religious and one of the most important festival commemorating the birth of Lord Krishna. Krishna Janmashtami is also known as Krishnashtami, Gokulashtami, Ashtami Rohini, Srikrishna Jayanti and Sree Jayanthi. Krishna was born on ‘Ashtami’ or the ‘eighth day’ at midnight in the holy month of Shravana. 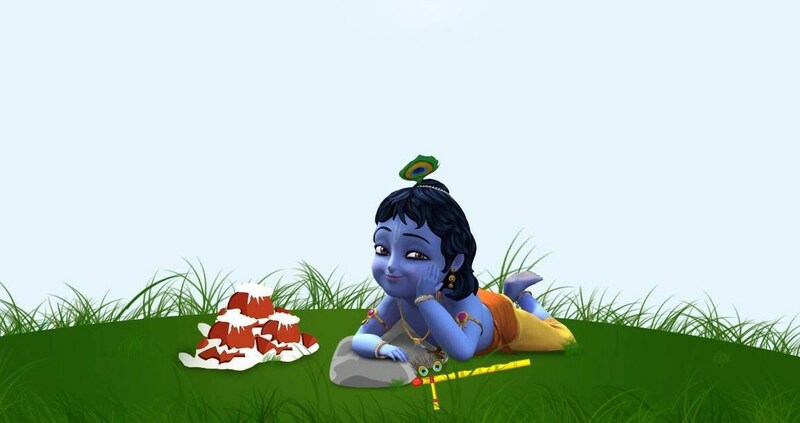 Most of the time, Krishna Janmashtami is listed on two consecutive days. The first one is for Smarta Sampradaya and other one is for Vaishanava Sampradaya. Vaishanava Sampradaya date is the latter one. A single date for Janmashtami means that both Sampradaya would observe Janmashtami on the same date. The reason behind this unanimity is the institution of ISKCON. The International Society for Krishna Consciousness, commonly known as ISKCON is founded on the principles of Vaishnava traditions and most followers of the ISKCON are the followers of Vaishnavism. In North India most people observe Janmashtami on the day chosen by ISKCON. Many people who are not the followers of Vaishnavism don’t even understand that ISKCON traditions are different and the most appropriate day to observe Janmashtami fasting might not be same as that of ISKCON. In ISKCON tradition, Janmashtami will be celebrated on 3rd Sepetember 2018. Raas lila, a night vigil (jagarana), fasting (upavasa) and celebrations (mahotsava) are important parts of Janmashtami. The event is particularly celebrated by ardent Vaishnavism followers because Krishna is was the eighth avatar of God Vishnu. Lord Krishna’s uncle, King Kansa, wanted to kill him. So as soon as he was born, his father Vasudeva took him across the Yamuna to Gokul where he was then taken care of by his foster parents Nanda and Yashoda. On Janmashtami, devotees honour how Krishna emerged victorious over the trials and tribulations over his birth, and later over the evil King Kansa. Believers fast the whole day, spending the time singing devotional songs. They also maintain a vigil into the night as Krishna was born at midnight. The devotees offer ‘chappan bhog’, a list of 56 dishes, to the God on the following day known as ‘Nanda Utsav’. After the offering, the prasad is then distributed and shared among the devotees. I just want to mention I’m new to blogging and site-building and definitely enjoyed you’re web-site. Most likely I’m going to bookmark your blog . You absolutely come with outstanding posts. Cheers for sharing with us your website. hi!,I really like your writing so much! percentage we keep in touch more about your article on AOL? I need a specialist in this house to resolve my problem. Maybe that is you! Looking ahead to see you.